I expected more from the new iPhones. I'm not talking about design, after all the mockups and leaked images, we knew it would be more of the same. But there is one new feature that all 2019 smartphones, thanks to Apple, will probably have. Last year the iPhone X gave way to a real trend: the notch. It's true, it wasn't Apple that first introduced it, but this doesn't change the fact that it was the iPhone X that made it a real trend. It is a fashion that has overwhelmed the world of smartphones by turning up on flagship displays and mid-range devices. Personally, the notch doesn't bother me. Notches have not been well received by everyone. Many users would willingly do without them, and it is precisely for this reason that most brands allow you to disable the notch from the settings. Will all new smartphones support Dual SIM and eSIM in 2019? This year the iPhone XS has been enhanced with the new A12 Bionic chip made at 7nm (which, however, contrary to what Tim Cook said during the keynote, is not the first, it comes after the Kirin 980 by Huawei) and the internal memory has also doubled bringing it to 512GB compared to the 256GB of its predecessors. Even the photographic experience should be improved but the function on which it is worth focusing is the support for Dual SIM. A feature that has been present on many Android devices for a long time, you won't be surprised to hear. Of course, Apple always comes later, but once again offers a feature that has long been known in a slightly different guise. The new iPhones (XS, XS Max and XR) support Dual Sim Dual Standby (DSDS) technology, which combines a physical SIM card with an eSIM. In the case of the new iPhone, therefore, in order to use the two SIM cards, you will need the right operator because not everyone currently allows the use of eSIM - especially in the US. Of course, it will take some time before eSIMs are mainstream, but thanks to Apple, more and more brands may decide to offer Dual SIM as a standard feature on their devices. After all, Chinese brands are already doing so and their presence on wider markets is getting stronger and stronger, you may have noticed. "The eSIM smartphone market is expected to reach 420 million units per year by 2022, thanks to Apple's decision to incorporate the technology into its iPhone devices XR, XS and XS Max, which will accelerate the growth of the eSIM market. September 2018 can be considered a significant milestone in the development and implementation of eSIM, raising the bar of the eSIM smartphone market, occupied exclusively by Google and its Pixel 2 device, bringing the (roughly) one million shipments per year to hundreds of millions. It’s a feature that looks to the future because in a few years it is probable that physical SIM cards will disappear. But it is also a feature that will allow Apple to expand its presence in some markets. It's no coincidence that Chinese users will get a version with two physical SIM cards. An inevitable move for Apple in a market where the brand is already very successful and where there is no flagship without dual SIM support. Dual SIM is a fundamental feature for users, to continue to neglect it would not make sense. Samsung has also adapted to this demand: first by offering dual SIM versions of its devices in selected markets, and now by integrating it in the latest flagship. The Note 9, for example, supports Dual Sim Full Active that allows you to operate with the two numbers at the same time. The company from Cupertino did what it should have done some time ago but, after all, in recent years it has managed to sell a lot of iPhones in China while not offering this feature so loved by users ... but we all know the power of Apple. All smartphones should offer Dual SIM support. In China, most smartphones are dual SIM for the simple reason that when moving from one province to another, roaming charges are applied, just as they were in Europe until last year. Dual SIM, in countries where, unlike the United States, it is not usual to enter into annual contracts with operators, allows the use of two different operator cards and thus to take advantage of different offers and greater coverage. This is especially true for less developed countries such as India, Africa or Brazil, for example. The fact remains that the new iPhones are too expensive for these markets, and so is the iPhone XR, although presented as the cheapest of the trio. In some markets, it could become a best seller, but in countries like India, it's hard to see that happening. In India eSIMs are supported by two operators, Airtel and Jio, and that's why the new iPhone does not come with support for two physical SIMs. And don't worry, soon new operators in different markets will embrace the eSIM. Huawei will also be supporting eSIM soon. 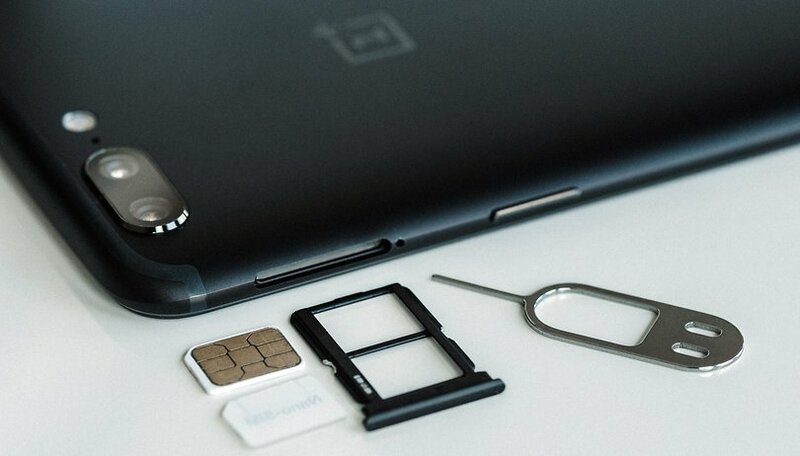 Do you think that Dual SIM support will become a standard feature in 2019 smartphones? What do you think about eSIM: will it quickly spread thanks to Apple? Let us know in the comments. Not dual, multiple e SIM support though out the world without any hassle or frequent registration, once registered on any network every time it should work with our any sim change or roaming etc. I'm in the US and I use it all the time on my OP6. I use one for T Mobile when they inevitably lose signal somewhere, I use Red Pocket GSMA. I love dual sim phones, I always have 2 numbers. One is my main number which I rarely give out, the other usually different network I use for ads or buying stuff when you need to give a contact number. When my second number starts getting to much traffic I change it or turn it off when not needed. I really do not want ESim. I like being able to take my sim out put it in an old phone and copy contacts to it as an extra back up. Plus I think it will lead to no unlocked devises, they will all be locked to one carrier. In my market, dual SIM is meaningless. But i don't object to it either.